Tonight I have a very simple sympathy card that I put together. I realized today after going through my stash that my inventory was short of this basic card. I stamped the image on white paper and embossed with white powder. 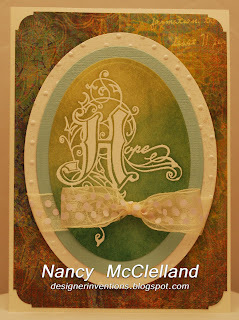 Using Ranger Distress Ink I rubbed on several colors then cut the image out with a Spellbinders Die. 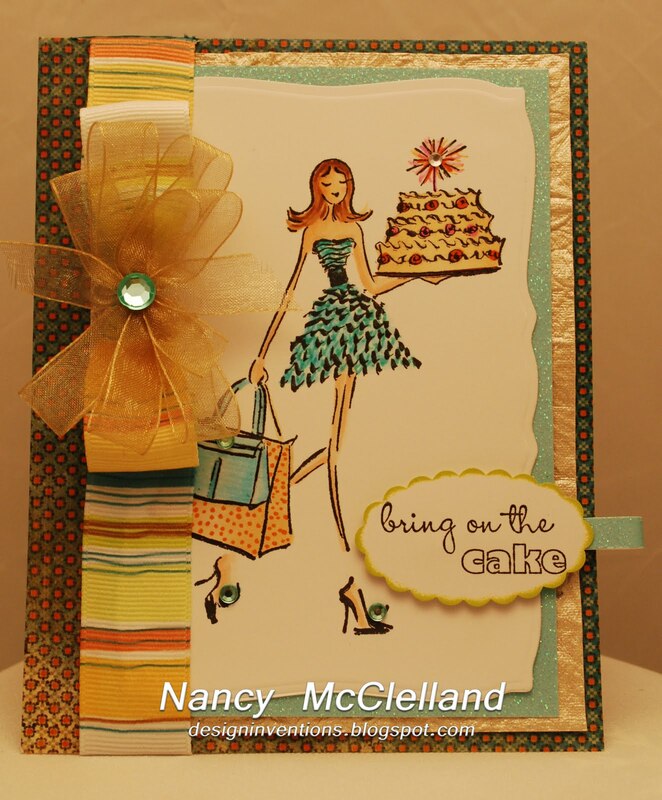 After a few more layers and some ribbon this card is ready to go. 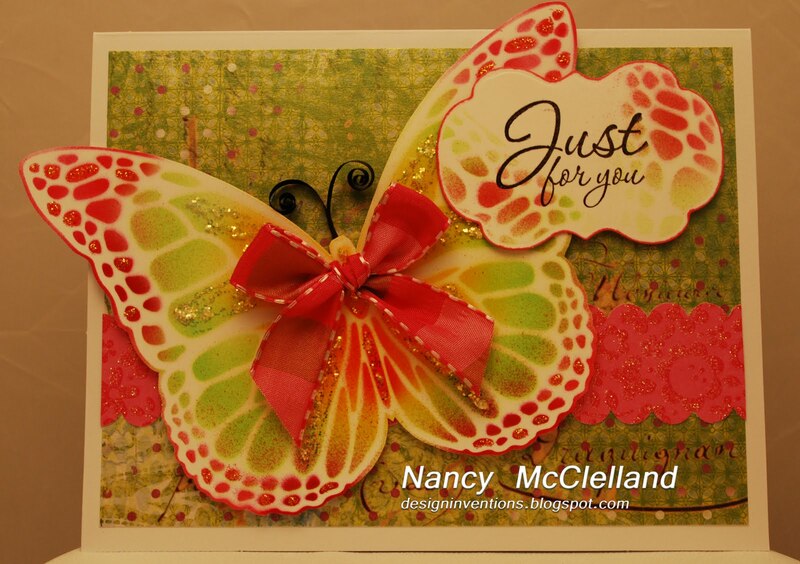 I wanted to share this butterfly card that I made using my airbrush, Copics and a Dreamweaver stencil. The picture really doesn't do it justice because you can't see all the sparkle. I used Stickles in the center and is a few areas around the edge. After stamping the sentiment and cutting with a Spellbinders die, I then used the stencil again to add a few areas of color on the sides. The antenna for the butterfly was made from a small amount of quilling paper. I'm still not sure about the bow that is in the middle, I felt the card looked a little bare with out it. Should have taken a picture without the bow first but it's too late now, it's been secured to the card. 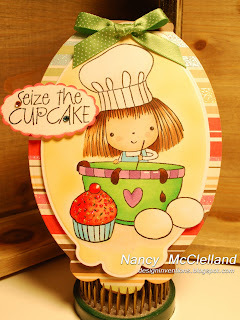 Sentiment and Border Punch - Stampin'UP! Sorry this post is so late, but my internet was down most of the night and I totally lost track of time while playing in my craft room. 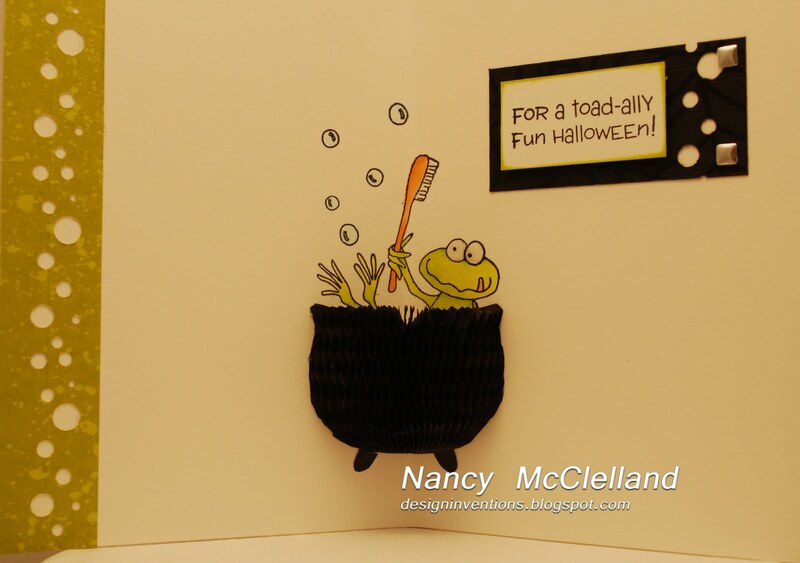 I started working with these fun Honey Pops from Inky Antics and have fallen in love with this Frog. 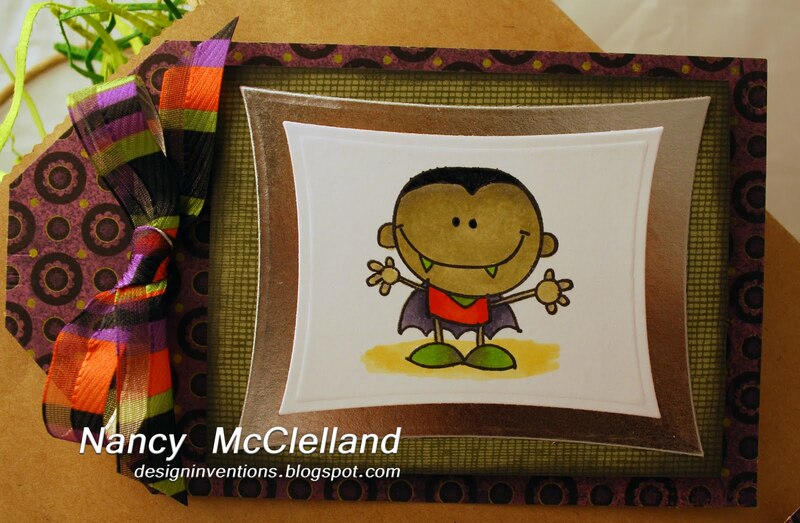 I colored him with my Copic Markers and then went to the Halloween scrap paper box to put the card together. 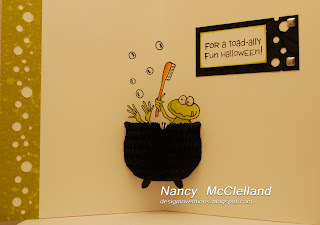 It's hard to see in the picture but the black paper has some embossed spider webs on it and I also used Glossy Accents on the Frogs eyes. I must say that you have to work at placing images behind the Honey Pop when going to the inside of the card. I also found that I needed to place the additional orange dot paper on the outside of the card because your Copic Markers bleed through to the outside. This did create a little more weight on the card, but if you are going to mail it will cost extra anyway. I''m posting a little early today because I have a class at All About Pictures tonight. I will be teaching another dimensional flower class tonight and we will make an adorable sunflower vase. You can see the project here. As I have been mulling over my stamps and pulling out ones that don't get alot of attention I came across the set with this hydrangea. With the weather here in Iowa being at a beyond scorch level most of the summer, I believe that is why my hydrangea's never bloomed. So guess what...I'll just make my own. 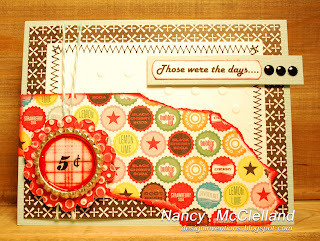 The image here is from Stampin' UP! along with the sentiment. I hope you enjoy and also give Thanks for everything in your life. and check out these great cards and Copic techniques. 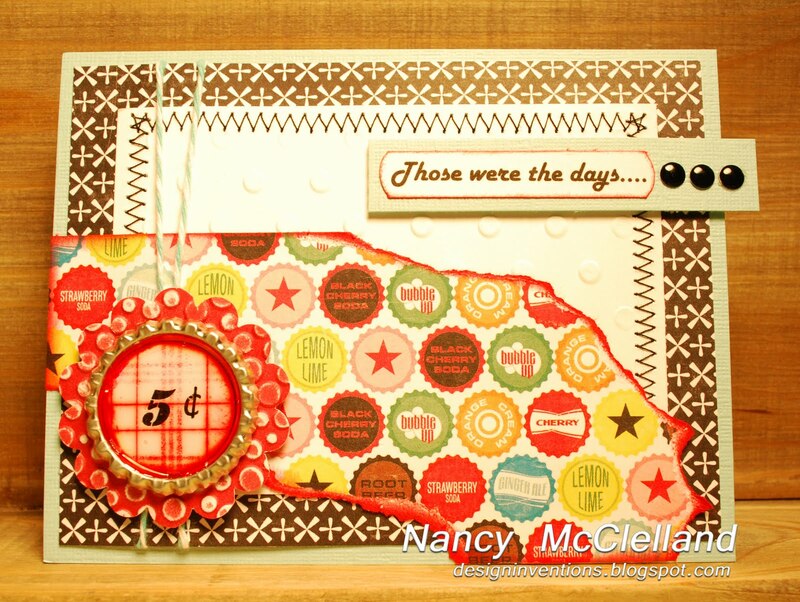 I really like the way Amy has combined her stamps to get the extra mileage with the images. Go check out this blog! Well I'm back in town from the family reunion where the button flower center pieces were a success. When I returned home I found my monthly Key Ingredients package from Taylored Expressions had arrived, so tonight I decided to feature a card using the contents. 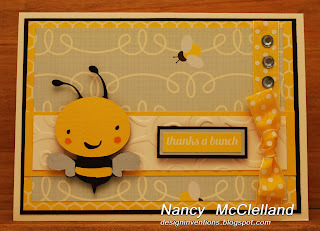 I loved the bee paper and knew that I wanted to do something with it. I pulled down my Create a Critter Cricut cartridge and put together the cute little Bee. 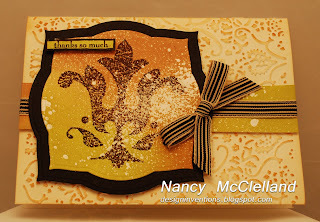 Using the other ingredients of paper, ribbon, sentiment stickers and rhinestones I finished with this fun 'thanks a bunch' card. You can get more information about the Key Ingredients kits here. I hope you enjoy. I'm so happy to have a post tonight! I have missed my time this week being creative. Lots of activities in our household, getting ready for a family reunion, a new hire training class at our business, I taught a Copic class at All About Pictures and then my oldest dog has been very sick. So it's good to back and share this card and I hope you like this Penny Black stamp as much as I do. The image is very basic and easy to color. 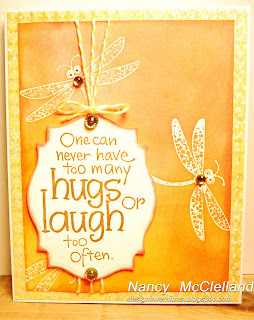 After looking at the finished product I wanted to find a sentiment that would fit the card. I came upon the Hero Arts stamp set with 'Kick Up Your Heels & Have FUN", so it was perfect. How could I go wrong with girl time and shopping. Thanks for checking in tonight. I've been busy the past few days working on table centerpieces for my husbands upcoming family reunion. I must admit that the thought of making 120 button flowers was a bit daunting, but it went fairly quick last night and my husband joined in by twisting all 120 wire stems needed. I worked a little late into this morning, but got most everything completed and then finished today. I hope you enjoy the card tonight and I will show you my flower creations later next week. Tonight I wanted to share this card that I made with paper created after I cleaned out the sprayer of my Goosebumps bottle. You should always clear the sprayer after each use, so I have decided that I will just spray a piece of paper and then use it to make a fun background for images. 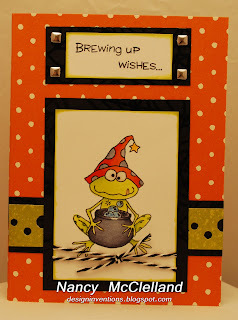 I used Ranger Distress Ink on the paper, then I stamped the image on top. You can see that I got a very distressed look. After cutting the image with a Spellbinders die I adhered the shape to a card base that was embossed by using my Cuttlebug. Finally I added a little more Distress Ink on the embossed surface. Listed below are the Supplies. 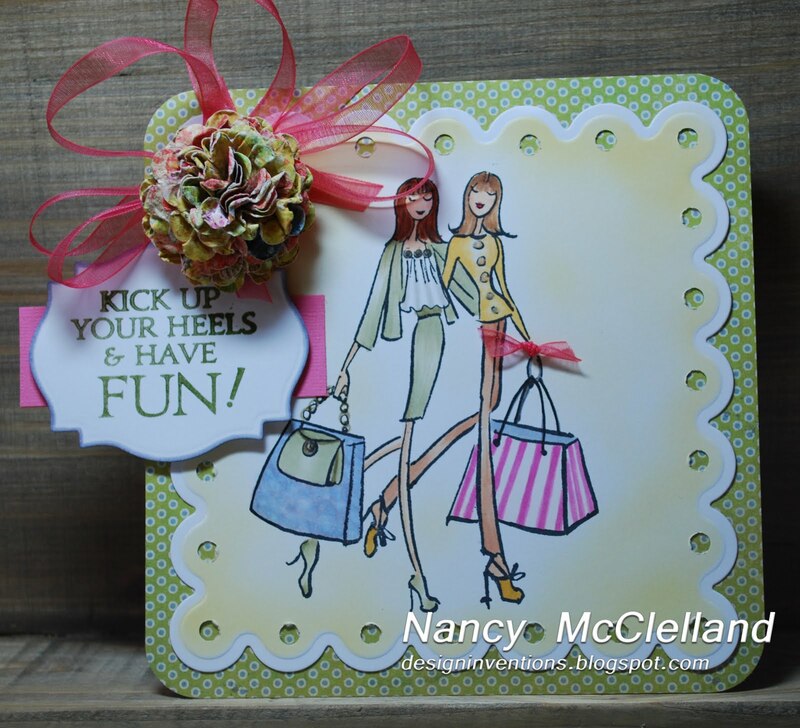 Stamped image and Sentiment: Stampin' UP! So this may be a little early from some of you, but I have been planning ahead for some classes so I needed to pull my Halloween stash down from the closet. When I opened the container and saw these two little monsters, I knew I had to color them up and share today. 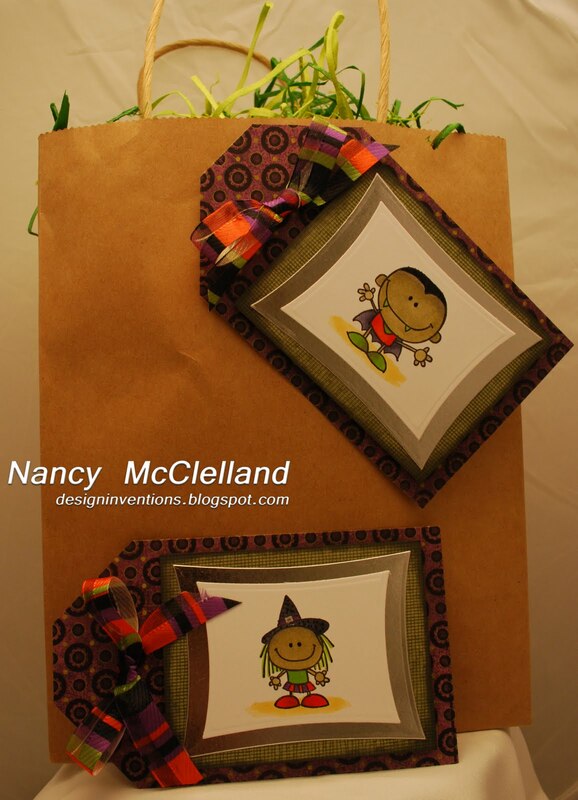 I decided to make them into gift tags so they could be used on a bag or even attach them to the front of a card. These images are simple to color and don't require many colors or much blending. I like to purchase items on sale after the season, so I believe this paper is from lasts years Basic Grey and a punch pad from the Martha Stewart collection. I've attached a couple more images so you can see the tags close-up. Hope you enjoy and thanks for stopping by today. Ok, look who's back. I just love Mimi from Penny Black. This time she whipped up a batch of cupcakes for you. 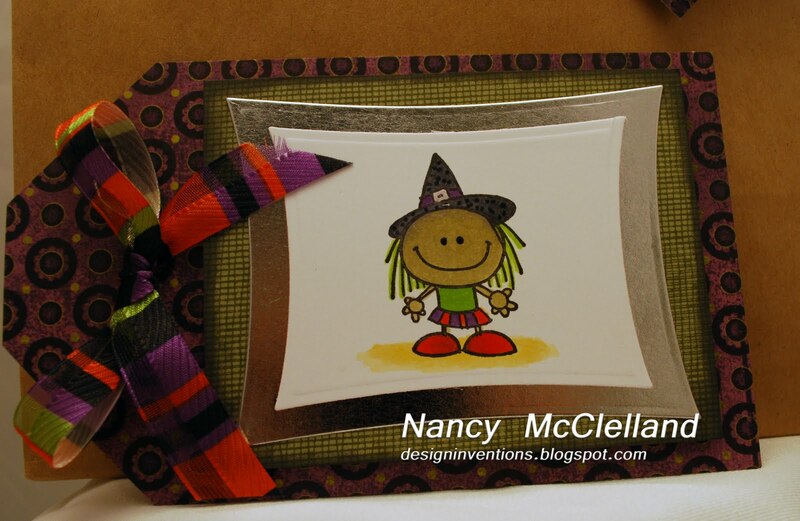 I colored the image with my Copic Markers and used one of my Spellbinder dies to cut the card base. The sentiment is an oldie but goodie from Hero Arts. The recipe for this card is below. 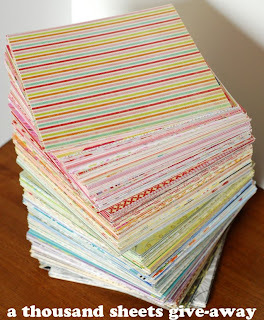 Tonight's post will focus on a Make-n-Take this weekend at All About Pictures. I have mentioned before that I was invited to this years Craft and Hobby show in Chicago where the new products were introduced. Well, those products have been ordered and have started to arrive in the store. 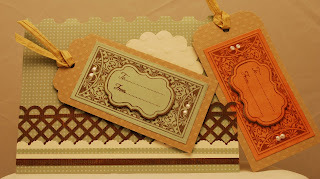 Saturday I will be at the store from 1:00 till 3:00 demonstrating JustRiite stamps with coordinating dies. We will make a tag that you can use on a card or attach to a gift. You will also use the new Viva Pearl Pen for accents. If you're out running around and have a few minutes to stop in and see some new products, we'd would love to have you try things out. Today I went back to my scrap bins and pulled out some paper. I wanted to play around with the new Goosebumps product from Tsukineko. This product will give you a resist image without heat embossing. You can spray directly on your stamp, place it in a dabber bottle or this time I spray it on my non-stick craft mat and used a piece of sponge to apply to my stamp. I liked the way it turned out using it this way. If you need more information about Goosebumps, go here. 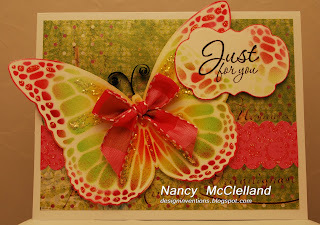 Dragonfly Stamp - Stampin' UP! Today I have two things for you. I haven't posted in a few days so I thought I would give you both of these fun cards. If you've been following my blog you will recall that I've been playing with the Cricut Country Life cartridge. Well, I also love to pull out my scrap paper boxes and create, so here ya go. 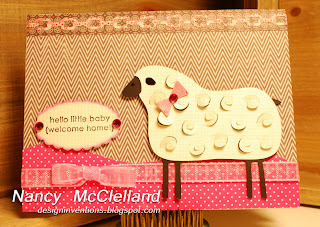 I added some fun flowers and gems on the the flower card and I used xtra small pop dot pieces under the cut-outs on the sheep. 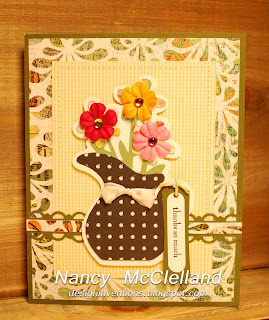 Both sentiments are from Stampin" UP!, Please note that I have used scraps so I don't have paper names. 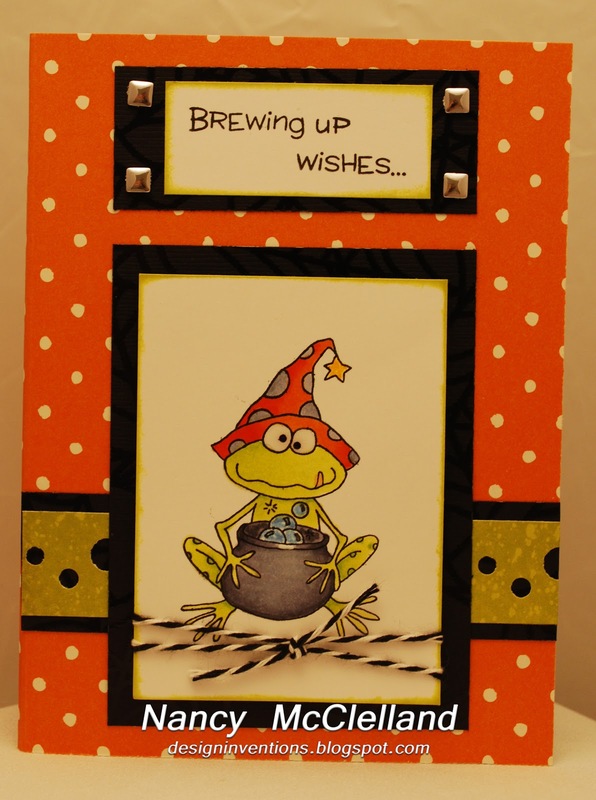 Also, go here to the All About Pictures blog to see the new August Classes. 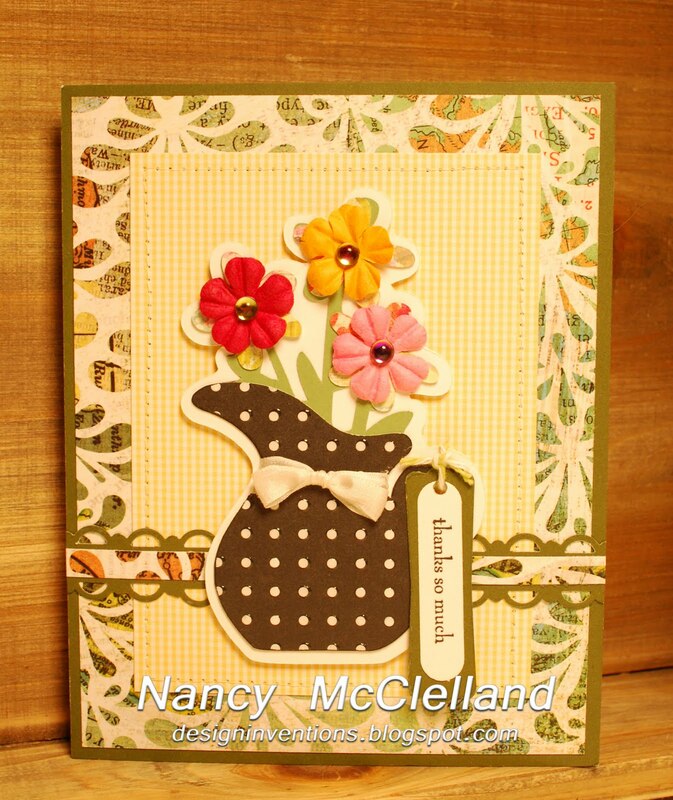 Today I'm sharing a card I made with an image from Mo Manning. 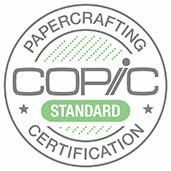 I have been fortunate enough to take several Copic certification classes and have found a wonderful mentor whose blog I check everyday. 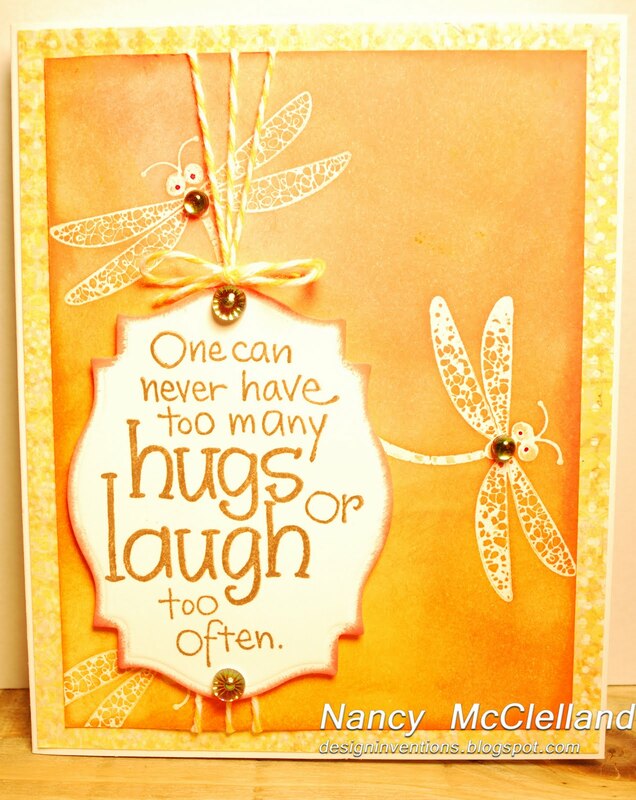 So the other day Debbie Olson posted a card and I immediately purchased the image. I wanted to try and duplicate the hair since it was so different. Debbie's final product is much better than mine and I have asked her permission to share mine with you. I have placed a link to her blog here and you should go see all her designs. She is nothing short of amazing.